The Motorcycle Development Program Participants Association Inc. (MDPPA), the organization motorcycle manufacturers, namely Honda, Kawasaki, Suzuki and Yamaha, has released its final tally of motorcycle sales in 2018. Last year, MDPPA members achieved 21% annual sales growth with a total of 1,580,926 units sold last year. The total sales figures were broken down into five market segments: Underbone or Moped (MP), Backbone or Business model (BU), AT Scooter (AT), Street or Standard (ST) and higher displacement motorcycles over 250cc (Others). This is a significant gain from 2017's reported 1.3 million units. Leading the pack in terms of sales is the scooter segment at 577,722 units (e.g. Honda BeAT, Suzuki Skydrive Sport, Yamaha Mio) This translates to a 48% sales growth from 2017. Scooter sales have been on a phenomenal rise in the past few years, gaining popularity among repeat customers and new buyers alike. The association attributes this to their equipped automatic transmission, which makes them more convenient to use in daily urban traffic, as well as being a top choice of beginner riders because of their user-friendly “twist and go” operation. Coming in second is the Backbone model segment, having 494,842 units sold (e.g. Honda TMX, Yamaha YTX, Suzuki AX4, Kawasaki Boxer). Previously the best-performing segment, it still attained a solid 13% growth. The association notes that backbone motorcycles or business models are the workhorses of the motorcycle industry, as most units are utilized for commercial purposes such as for tricycle use or food delivery duties. They are versatile and robust, offering entrepreneurs an affordable means to transport goods to customers. The moped segment achieved a modest 1% growth (e.g. Honda XRM, Suzuki Raider, Kawasaki Fury, Yamaha Sight). These motorcycles still sold steadily at 494,842 units. Being a cross between the scooter and the backbone motorcycle, they are ideal for personal commuters yet still are capable of taking on heavy loads. Most mopeds are equipped with a semi-automatic transmission where the rider shifts gears without having to use a clutch. Though some models are fitted with manual clutch levers. Street or Standard segment showed 15% increase having sold 69,627 units (e.g. Honda CBR150R, Yamaha TFX150, Kawasaki Rouser, Suzuki Gixxer). A standard motorcycle is similar to the business model except the former is designed with performance and aesthetics in mind. It is a personal commuter that doubles as an affordable vehicle for recreational purposes as well. However, the increasing purchasing power of customers has also led to the demand for higher displacement motorcycles over 250cc, to include big bikes. These are starting to gain popularity among those who view the motorcycle as an instrument of leisure, as opposed to seeing it merely as a tool of necessity. With the prevailing market forces, the MDPPA expects the upward trend in motorcycle sales to continue as it forecasted a 20% increase in sales in 2019. As the motorcycle rider population grows, the MDPPA stays committed to its advocacy on road safety for the benefit of their even expanding customer base. 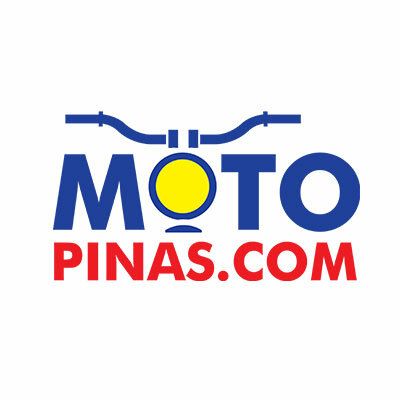 As a member of the Federation of Asian Motorcycle Industries (FAMI) and the International Motorcycle Manufacturers Association (IMMA), the MDPPA adheres to strict international standards with regards to the quality of its products and is constantly working with relevant government agencies to help establish policies that aim to improve the lives of the motorcycle riding public. Check out the new colors offered for the 2019 Honda BeAT.